Not long ago I introduced the next gen of Project Sputnik’s Linux-based Dell Precision Mobile workstations: the 3530, 5530, 7530 and the 7730. At that time the 3530 was available for purchase. Note: to get to the Ubuntu option, hit “more” in the Operating System section. These new thinner, lighter, premium-built Precision mobile workstations come preloaded with Ubuntu and have been RHEL certified. The 7530 and 7730 feature the latest Intel Core and Xeon processors, blazing-fast memory and professional graphics. Of particular note is the increased core count and memory. In fact the maximum memory has doubled to 128GB which helps with cloud developer local workloads. In the case of the 7730, it supports up to 8TB of PCIe NVME storage, the most PCIe storage on the market today. The 7730 is also the first AI/ML ready mobile workstation available. Although the following information was in the previous blog, I wanted to include it here so that you had all the info in one place. As mentioned above, these systems will be certified for RHEL 7.5 and the needed drivers will be included in the distro. That being said, the AMD and NVIDIA drivers that come with 7.5 are inbox drivers. We will be posting drivers for both graphic cards that will include professional features not included in the inbox drivers. Stay tuned! Next up, the 5530. Stay tuned! Project Sputnik keeps rolling on! Today I’m proud to announce the new the Linux-based Dell Precision Mobile workstation line: the 3530, 5530, 7530 and the 7730. These systems, which represent the fourth generation of the Precision developer editions, come preloaded with Ubuntu and have been RHEL certified. These new thinner, lighter, premium-built Precision mobile workstations feature the latest Intel Core and Xeon processors, blazing-fast memory and professional graphics. Next-gen graphics up to NVIDIA® Quadro P2000. As mentioned above, all four developer editions will be certified for RHEL 7.5 and the needed drivers will be included in the distro. That being said, the AMD and NVIDIA drivers that come with 7.5 are inbox drivers. We will be posting drivers for both graphic cards that will include professional features not included in the inbox drivers. Stay tuned! Project Sputnik launched at the end of 2012 with the svelte XPS 13 developer edition. While this fit the bill for a lot of folks, there was a set of folks who needed something beefier. The demand stayed steady so Sputnik team member Jared Dominguez decided to take it upon himself to get Ubuntu up and running on the Precision M3800. From this he created step-by-step instructions and posted them to Dell Tech Center for community members to follow. While customers were excited to be able get Ubuntu going on their systems, they wanted more. Given this sustained demand, in early in 2015 the M3800 developer edition became an official product. Watch this space for the upcoming availability of the Dell Precision 5530, 7530 and 7730 developer editions as well as the AMD and NVIDIA graphics drivers for RHEL 7.5 . 4th gen Dell XPS 13 developer edition available! I would first like to thank everyone for their patience and support as we worked through various bugs that crept up. This has taken longer than we would have liked but I’m happy to say that as of today, the Dell XPS 13 developer edition is now available in the United States, Canada and Europe! As many of you may known, the developer edition began its life as Project Sputnik. 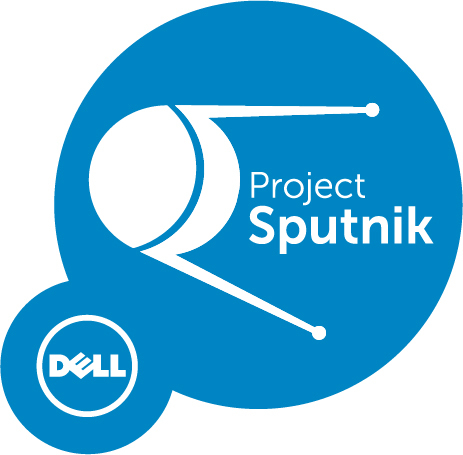 Funded by an internal incubation fund set up to drive innovation within Dell, Sputnik went from open-ended exploratory project to official product within nine months. The entire program was conducted in the open in order to identify what you — developers — demanded in an ideal Ubuntu-based laptop. It was also your interest and support that drove Sputnik from project to product. At the beginning of the year we launched an expansion to the line, the Precision M3800 developer edition, and today we are announcing the availability of the 4th generation of the XPS 13 developer edition. 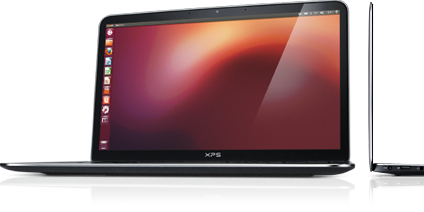 * We recommend that users use the factory shipped Ubuntu image with the XPS 13 with at least BIOS A02. We do however recognize that users will want to use other Linux distributions, Ubuntu versions or kernel versions so we’ve assembled a list to indicate problems users should expect with other distros. In general you will have the best experience on the latest in development distributions with newer kernels. For more information and instructions please see the technical notes at the end of this post. I wanted to give recognition and a big thanks to the members of our small but mighty Sputnik core team: Mario Limonciello, Jared Dominguez, Amber Huang and Amit Bhutani. These are the folks who have worked their butts off and made this a reality! Updated April 16, 2015: new information with regards to current status quo from some people who have used Debian as well as 4.0 updates. Download the executable from support.dell.com and save it to a FAT32 formatted USB disk. At the Dell POST screen, press F12 to bring up the BIOS boot menu. Select the option to flash the BIOS. In the popup menu, select your USB disk and select the BIOS executable. If you machine was shipped with A02 or later, you will not need this kernel command line change. The developer edition units will ship with A02 or later. Ubuntu 14.10 includes kernel 3.16. Ubuntu 15.04 includes kernel 3.19. We recommend that Debian 7.0 users upgrade to a kernel 4.0 and apply those two patches. The above notations will apply to Debian 7.0 then. Will need to be backported for it to work properly. We recommend for Debian 8.0 users upgrade to kernel 4.0 and apply the two extra microphone patches. If dual booting with Windows 8.1 and kernel 4.0 or earlier you will need to cold boot twice into the OS for audio to work. This fix has been included in Ubuntu 15.04 and Fedora 21. It’s included in Fedora 21 and Ubuntu 15.04. This allows right click to work properly in I2C mode. In kernel 4.1, the audio will operate in is I2S mode (the same mode as Windows 8.1). The following other patches enable I2S audio. If the above patch is backported to something earlier than 4.0 these will be needed. Updated Intel SST firmware files. These aren’t in all distros yet. There are some other issues with I2S audio mode that aren’t yet fixed too. Hopefully by the time 4.1 comes around they’ll be sorted out. I wanted to get one more quick post in before I head out for the holidays. Things have been crazy since the XPS 13 Developer Edition launched almost three weeks ago. In fact no sooner did we start to catch our breath from the product’s launch that Dell World took place. We had a lot of interest at the event and Im looking at following up with the folks I met. Price — This turned out to be due to an internal pricing inconsistency and we were able to jump on it right away and dropped the price by $100 by the afternoon. Monitor resolution — We have heard the community loud and clear and are looking at ways to address this, stay tuned. A little over six months ago we announced a scrappy skunkworks project to pilot a developer solution based on Ubuntu 12.04LTS and our sleek XPS 13 laptop. Thanks to the amazing feedback and support we have received from the community, today we are announcing the availability of the resulting official product – the Dell XPS 13 laptop, developer edition. *Updated 11/30/12: the community pointed out we had not priced consistently across our online stores, this has been fixed. This offering was always intended to be priced less than Windows. The profile tool and cloud launcher are beta open source projects that we have just kicked off on github. These projects are quite nascent at this point and we are looking for more people to get involved and help get them going (hint, hint 🙂 ) . Profile Tool: The idea behind the profile tool is to provide access to a library of community created profiles on github, such as Ruby and Android, to quickly set up your development environments and tool chains. Cloud launcher: The cloud launcher enables you to create “microclouds” on your laptop, simulating an at-scale environment, and then deploy that environment seamlessly to the cloud. Today the launcher utilizes Linux Containers to model your environment on your laptop and then uses Juju to jettison that environment to the cloud. The launcher project on github will allow for community expansion on this concept using different technologies and approaches. As I mentioned at the beginning, project Sputnik began as a skunkworks effort. It was made possible by internal incubation fund designed to bring wacky ideas from around the company to life in order to tap innovation that might be locked up in people’s heads. Just weeks after the basic concept was greenlighted by the innovation team, it was publically announced as a pilot project at the Ubuntu developer summit. The big focus of our efforts, particularly in the beginning, has been to work with Canonical to make sure that we had the appropriate drivers for all functionality including the pesky touchpad. From the start, the idea was to conduct project Sputnik out in the open, soliciting and leveraging direct input from developers via our Project Sputnik StormSession, comments on this blog, threads on the Sputnik tech center forum as well as the project Sputnik beta program. In fact it was the tremendous interest in the beta program that convinced us to take Project Sputnik from pilot to product. I would like to give a special shout out to the beta cosmonauts who signed on. They were an intrepid lot who were patient and diligent working through issues to help make sure that when we went to production we had a product that developers would want. The next big thing for XPS 13 developer edition is availability outside the United States. We are working with teams inside of Dell to make this so as quickly as we can. The other direction we are looking at potentially expanding is offering a bigger beefier platform for developers. The XPS 13 is perfect for those who want an ultra light and mobile system but we have heard from a bunch of devs who would also like an offering that was more workstation-like with a bigger screen and more RAM. Today is a very proud moment for our team, putting together an official Dell offering for developers with their input and suggestions through out the process. Stay tuned for more to come!